A Rancho Penasquitos man was behind bars Tuesday for allegedly breaking into two homes in his neighborhood in quick succession and threatening residents while robbing them. A woman who lives in the 14000 block of Del Diablo Lane allegedly saw Jonathan Romero Miranda, 34, sneaking into her house through a downstairs window shortly after 4:30 p.m. Monday, according to San Diego Police. She yelled at him, then fled upstairs to call for help. The intruder took a laptop and ran out through an open garage door, closing it behind himself, SDPD Officer John Buttle said. 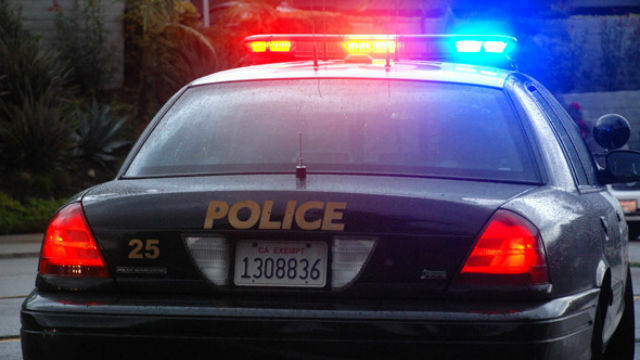 Less than 10 minutes later, an intruder entered a home in the 15000 block of Penasquitos Drive through a broken garage window, then confronted a resident and demanded money and valuables. Hearing a commotion from outside, a roommate went into the house to see what was going on. The suspect allegedly threatened to stab both residents before fleeing empty-handed. One victim of the second home invasion realized that Miranda lives in the neighborhood and informed police, who tracked down the suspect and took him into custody. Miranda was booked into San Diego Central Jail on suspicion of burglary, robbery, making criminal threats, being under the influence of a controlled substance and possessing unlawful drug paraphernalia. He was being held on $100,000 bail pending arraignment, scheduled for Wednesday afternoon.